Typically, in professional application development, there are multiple phases where an application is tested before publishing it to the real users. These phases by convention are development, staging, and production. We as developers might like to control the behavior of an application based on the phases the application is in. Environment variable indicates the runtime environment in which an application is currently running. 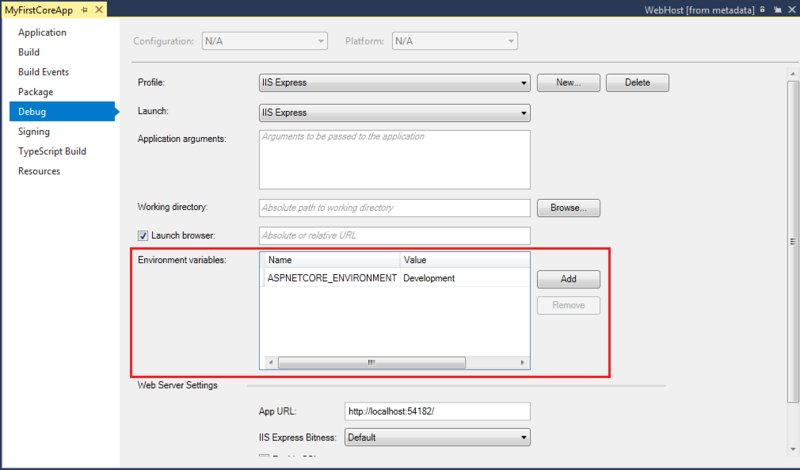 ASP.NET Core uses an environment variable called ASPNETCORE_ENVIRONMENT to indicate the runtime environment. The value of this variable can be anything as per your need but typically it can be Development, Staging, or Production. The value is case insensitive in Windows and Mac OS but it is case sensitive on Linux. 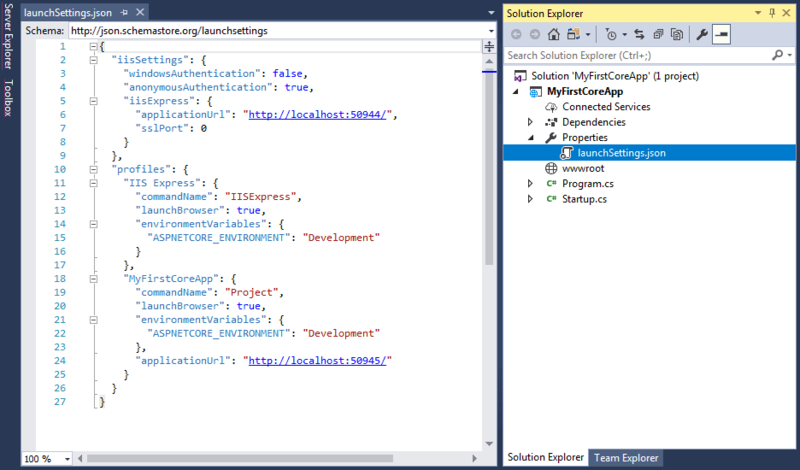 In Visual Studio, we can set ASPNETCORE_ENVIRONMENT in the debug tab of project properties. 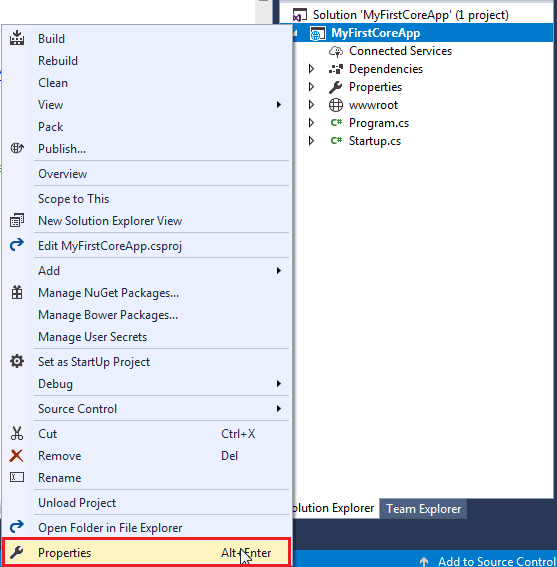 Open project properties by right clicking on the project in the solution explorer and select Properties. This will open properties page. Click on Debug tab and you will see Environment Variables as shown below. You may change the value as per your need. This value will be saved in the launchSettings.json file as shown below. You may also change the environment variable directly in launchSettings.json. We can get the value of an environment variable in our code to execute some additional code based on its value. The IHostingEnvironment service includes EnvironmentName property which contains the value of ASPNETCORE_ENVIRONMENT variable. ASP.NET Core also includes extension methods to check the environment such as IsDevelopment(), IsStating(), IsEnvironment() and IsProduction(). The IHostingEnvironment service is provided by ASP.NET hosting layer and can be used anywhere in your application via Dependency Injection. The following example shows how we can check the environment variable in the Configure method of Startup class. Learn all about exception handling in ASP.NET Core application and how this environment variable can be used there, in the next chapter.